Earth Dimensions utilize NeuraScanners for converting paper well logs into retrievable electronic images. These images are used to create log LAS files, make additional prints or to generate numerous other electronic data sets. 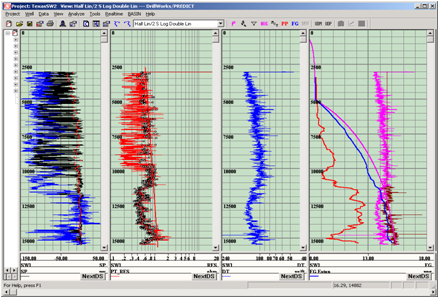 Once paper logs are converted to LAS format they can be loaded into a number of software programs to display log curves on seismic data, create cross sections, generate sand quality and density maps, construct sythetic seismograms and 2-D seismic models. Our geotechnical staff will digitize and edit logs upon request with a rapid turn-around. Call for a quote. High quality products at appropriate cost.